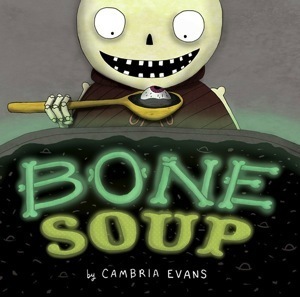 On today's menu is Bone Soup by LDS author and illustrator Cambria Evans (Martha Moth Makes Socks). In an interview about her work, Cambria explained how she got the idea; "I was in an outdoor market in Cuzco, Peru; when I saw a crazy looking stew with bones sticking out. I called my husband over, saying 'Come look at this bone soup!' 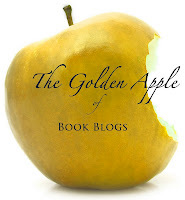 and immediately I thought, 'what a great idea for a book.'" 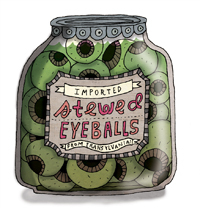 Based on the old folk tale Stone Soup, this book is a great Halloween read for bringing food and friends together. 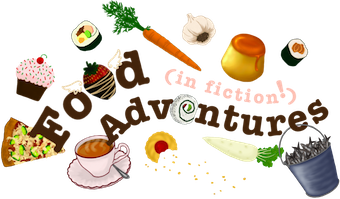 Instead of cabbage and carrots though, this story features spider eggs and mouse droppings -but don't worry, the recipe I've posted is completely gross-free. Known across the land for his infamous appetite, Finnigin is never seen without his eating stool, his eating spoon, and his gigantic eating mouth. When Finnigin finds himself in a new town on Halloween, he hopes to join a great feast with the creatures who live there. But not a body or soul will share any of their food with the ever-famished Finnigin. 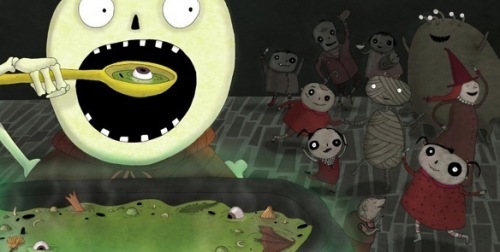 So what’s a hungry skeleton to do? Armed only with his wits and a special ingredient, will Finnigin be able to stir up a cauldron’s worth of Halloween magic? Season beef stew chunks with salt and pepper to taste. Place seasoned beef in a large soup pot. Add 2 tablespoons of oil and saute for 5 minutes on high heat. Remove meat. Add 2 more tablespoons of oil to pot and add onions, carrots, and mushrooms. Saute for 5 minutes, stirring often. Add garlic and thyme to pot and saute for 3 more minutes. Add the chicken broth and 3 cups of water to pot. Add the frozen mixed vegetables, potatoes and barley. Season with salt and pepper to taste. Stir all together and bring to a boil. Cover pot, reduce heat to low and simmer for 1 to 1 1/2 hours. Serve with bread and cheese, minus the worms and mold.